This anthology contains fourteen intriguing stories by active research scientists and other writers trained in science. Science is at the heart of real science fiction, which is more than just westerns with ray guns or fantasy with spaceships. The people who do science and love science best are scientists. Scientists like Isaac Asimov, Arthur C. Clarke, and Fred Hoyle wrote some of the legendary tales of golden age science fiction. Today there is a new generation of scientists writing science fiction informed with the expertise of their fields, from astrophysics to computer science, biochemistry to rocket science, quantum physics to genetics, speculating about what is possible in our universe. Here lies the sense of wonder only science can deliver. All the stories in this volume are supplemented by afterwords commenting on the science underlying each story. When I originally got involved with Springer’s exciting and innovative “Science and Fiction” line, I expected to see some books featuring scientists writing science fiction, and there have been a number of novels and story collections produced. 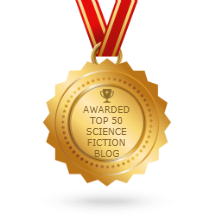 What I didn’t see was a broad spectrum showcasing science fiction short stories by working scientists and writers significantly trained in, or retired from, science. 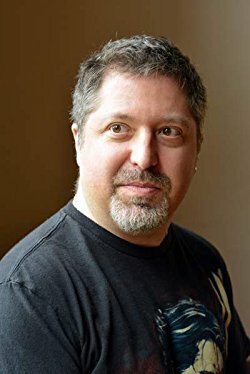 I decided to take on that project myself in an effort to highlight the current generation of scientist science fiction writers. Many astronomers, physicists, and biologists answered the call. I also wanted to include people in fields like computer science and “rocket science,” as well as SETI, and successfully acquired a number of intriguing stories. I was less successful with some fields, like geology and chemistry, but perhaps for a future volume. 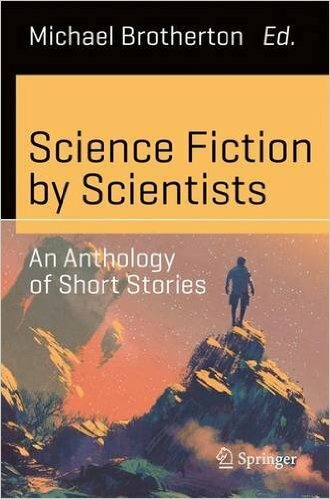 We also decided to do something a little different for this anthology, and include essays by each contributor discussing the science of the story. I found that these often enhanced the stories, deepening my appreciation, and believe they will make them more accessible to those for whom the parent discipline is less familiar. The stories cover quantum physics, cutting-edge biology, extreme astrophysics, artificial intelligence, astronautics and the International Space Station, alien environments, and even a scientific take on zombies. We also have a story about detecting an alien signal with SETI by the engineer running the Allen Telescope Array who would be the one to actually do it in real life, which was totally fascinating. I hope you will enjoy our efforts. Steve Davidson’s next upgrade to the Amazing Stories site is likely to be an event calendar listing conventions, readings, classes etc. There is a fan who knows something about building the base! Meanwhile the Amazing blog offers something new every day. Mike Brotherton has a very clever post about How To Host A Big Bang Theory Party. Coincidentally, I saw his name earlier today on Technorati when I was looking at the rankings trying to understand why my blog scores much better in the realm of Comics (336th) than Books (827th). Brotherton was leading the “Top 10 Fallers” list for having lost the most Books Authority points – but his blog remains among the Top 100 in the category, with five times more Books Authority points than File 770. If you don’t want to do the work yourself, there are tons of fans out there willing to help. Most notably, the Florida Association for Nucleation And Conventions (F.A.N.A.C. ), Inc., has a wonderful collection of scanned photos and printed materials and a small but dedicated cadre of volunteers devoted to putting things online.